CO2 fluxes from soil, together with soil water content and temperature have been measured over one solar year in an even-aged beech forest (Fagus Sylvatica L.) in southern Italy. We investigated the effects of three different harvested biomass removal treatments (traditional, innovative, unharvested control) on soil respiration (Rs) in three plots from May 2014 to April 2015, with the aim to evaluate the effects of such silvicultural practices on the CO2 respired from the forest floor. The influence of soil temperature and soil moisture on soil respiration was also analysed. Rs showed large variations among the treatments, with the innovative treatment resulting in significantly higher soil respiration than control and traditional treatments. There were no significant differences in soil temperature between the treatments, whereas soil water content was statistically different only in the innovative treatment. The study showed that the mean soil respiration increased with thinning intensity, confirming that after harvesting, residues remaining on the forest floor and decomposing roots may contribute to raise soil respiration, due to the higher microbial activity. Thinning effects on soil and microbial respiration in a coppice-originated Carpinus betulus L. stand in Turkey. iForest 9: 783-790. Annual and seasonal variations of Q10 soil respiration in the sub-alpine forests of the Eastern Qinghai-Tibet Plateau, China. Soil Biology and Biochemistry 42: 1735-1742. Synthesis and modeling perspectives of rhizosphere priming. New Phytologist 201 (1): 31-44. Potentiality of laboratory visible and near infrared spectroscopy for determining clay content in forest soils: a case study from high forest beech (Fagus sylvatica) in Calabria (southern Italy). International Journal of Environmental Quality 11: 49-64. Visible and near infrared spectroscopy for predicting texture in forest soil: an application in Southern Italy. iForest 8: 339-347. Microbial soil respiration and its dependency on carbon inputs, soil temperature and moisture. Global Change Biology 13: 1-18. Effects of soil water content on soil respiration in forests and cattle pastures of eastern Amazonia. Biogeochemistry 48: 53-69. Temperature sensitivity of soil carbon decomposition and feedbacks to climate change. Nature 440: 165-173. An introduction to the bootstrap. Chapman and Hall, New York, USA, pp. 436. Natural abundance of 13C in CO2 respired from forest soils reveals speed of link between photosynthesis and root respiration. Oecologia 127: 305-308. Effects of substrate availability on the temperature sensitivity in soil organic matter decomposition. Global Change Biology 15: 176-183. Respiration in the balance. Nature 404: 819-820. Substrate quality and the temperature sensitivity of soil organic matter decomposition. Soil Biology and Biochemistry 40: 1567-1574. 2006 Guidelines for national greenhouse gas inventories. National Greenhouse Gas Inventories Programme (Eggleston HS, Buendia L, Miwa K, Ngara T, Tanabe K eds). IGES, Hayama, Kanagawa, Japan. The effect of heavy or free growth thinning on oak (Quercus petraea and Q. robur). Forestry 69 (4): 303-317. Das geographische System der Klimate [The geographic system of climates]. In: “Handbuch der Klimatologie” (Köppen W, Geiger R eds). Gebrüder Borntraeger, Berlin, Germany, pp. 1-44. Comparison of soil CO2 flux between uncleared and cleared wind throw areas in Estonia and Latvia. Forest Ecology and Management 262: 65-70. Initial soil respiration response to biomass harvesting and green-tree retention in aspen-dominated forests of the great lakes region. Forest Ecology and Management 328: 342-352.
Review of mechanisms and quantification of priming effects. Soil Biology and Biochemistry 32: 1485-1498. On the temperature dependence of soil respiration. Functional Ecology 8 (3): 315-323. Forest harvesting effects on soil temperature, moisture, and respiration in a bottomland hardwood forest. Soil Society of America Journal 63: 637-644. Temporal-spatial variation and controls of soil respiration in different primary succession stage on glacier forehead in Gongga Mountain, China. PLoS ONE 7 (8): e42354. Short-term effects of experimental burning and thinning on soil respiration in an old-growth, mixed-conifer forest. Environmental Management 33: 148-159. Simplified methods to inventory the current annual increment of forest standing volume. iForest 5 (6): 276-282. Effects of planting density on the distribution of biomass in a douglas-fir plantation in southern Italy. iForest 8 (3): 368-376. Estimating belowground biomass and root/shoot ratio of Phillyrea latifolia L. in the Mediterranean forest landscapes. Annals of Forest Science 72: 585-593. Effect of spatial variation of soil respiration rates following disturbance by timber harvesting in a larch plantation in Northern Japan. Forest Science Technology 2: 80-91. The influence of thinning on the ecological conditions and soil respiration in a Larch forest on Hokkaido Island. Eurasian Soil Science 43: 693-700. 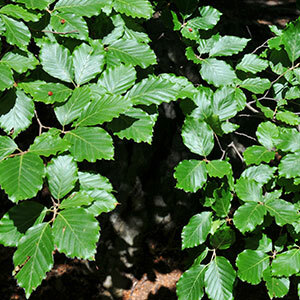 Structure and management of beech (Fagus sylvatica L.) forests in Italy. iForest 2 (1): 105-113. Contribution of root respiration to total soil respiration in a Japanese cedar (Cryptomeria japonica D. Don) artificial forest. Ecological Research 15: 323-333. Forest management and soil respiration: implications for carbon sequestration. Environmental Reviews 16: 93-111. A synthesis of carbon in international trade. Biogeosciences 9: 3247-3276. Forest operations for implementing silvicultural treatments for multiple purposes. Italian Journal of Agronomy 11: 156-161. Modeling temporal and large-scale spatial variability of soil respiration from soil water availability, temperature and vegetation productivity indices. Global Biogeochemistry Cycles 17: 1104. Main determinants of forest soil respiration along an elevation/temperature gradient in the Italian Alps. Global Change Biology 11: 1024-1041. Basal rates of soil respiration are correlated with photosynthesis in a mixed temperate forest. Global Change Biology 13: 2008-2017. Soil respiration and the global carbon cycle. Biogeochemistry 48: 7-20. Nonlinear regression. Wiley Series in Probability and Mathematical Statistics, Wiley, NY, USA, pp. 768. Keys to soil taxonomy (11th edn). Natural Resources Conservation Service, USDA, Washington, DC, USA, pp. 338. Thinning reduces soil carbon dioxide but not methane flux from southwestern USA ponderosa pine forests. Forest Ecology and Management 255: 4047-4055. Potential responses of soil organic carbon to global environmental change. Proceedings of the National Academy of Science USA 94: 8284-8291. Rhizosphere priming effect increases the temperature sensitivity of soil organic matter decomposition. Global Change Biology 17: 217-218.